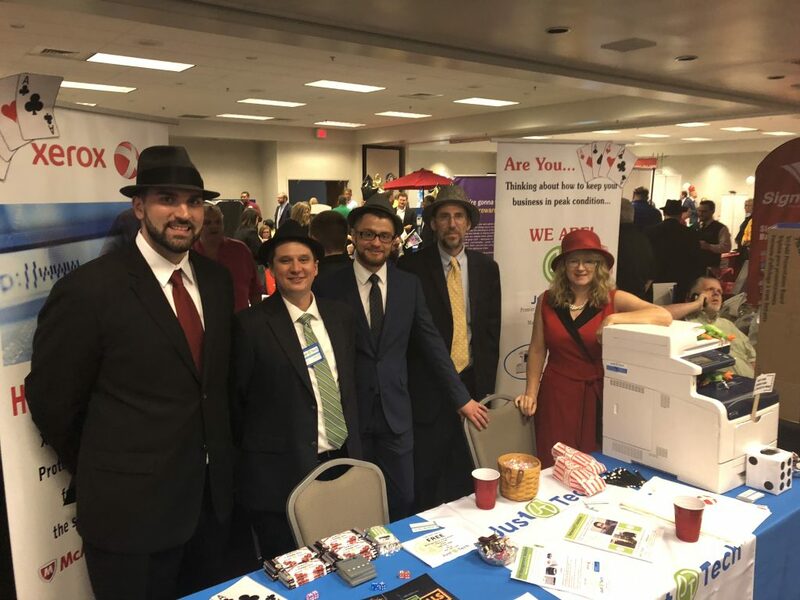 On May 17th, the Huntington Regional Chamber of Commerce held their eighth annual Business After Hours Trade Show. The event was located at the Big Sandy Superstore Arena and over 300 attendees were present. 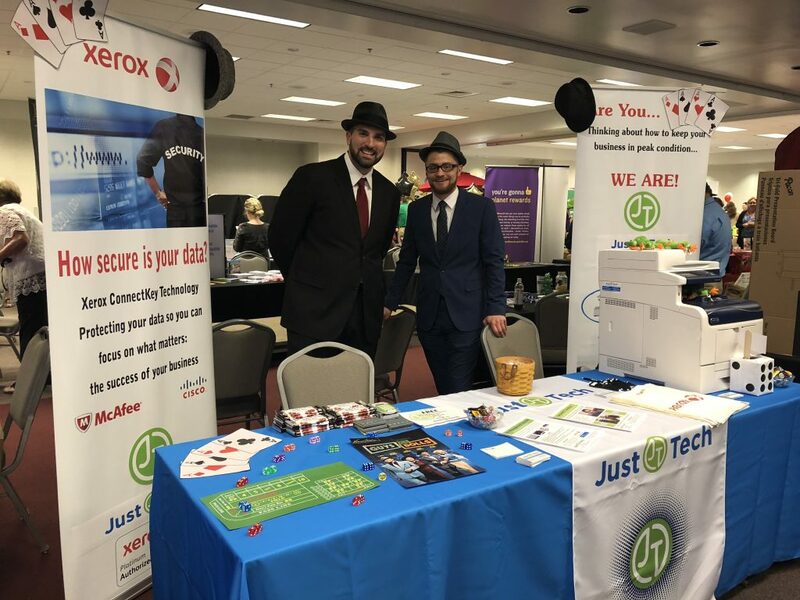 For the 2nd consecutive year, team members from JustTech attended and managed a booth to speak with prospective clients about our products and services. 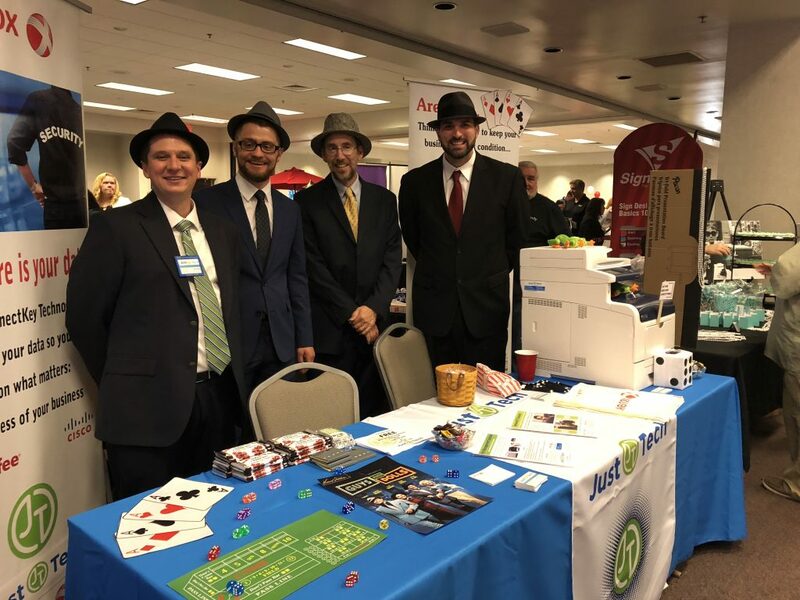 This year, the theme of the event was “A Night at the Movies – Now Featuring Our Members.” The JustTech team got into the spirit of the theme and dressed up! The team had a great time at the event!